Thank you for your interest in partnering with Fairway. As an industry leader, our mission is to offer high-quality group purchasing and consultative services to our national membership base that maximizes their overall financial performance. One of the ways that we accomplish this mission is by continually updating our vendor portfolio to introduce new products and services that can benefit our members and reduce costs. 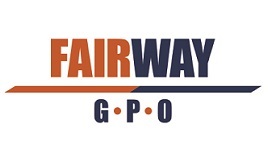 To learn more about partnering with Fairway, please take a moment and review some of the unique features and benefits that we provide to our vendor partners. If you are interested in joining Fairway as a vendor, please fill out the information requested below and someone from our team will be in contact within 2 business days. Do you currently work with other GPO's? Briefly tell us about the value that you can offer to our members.